"A fascinating Yorkshire derby in store here as Leeds chase automatic promotion and the in-form Owls desperately trying to win in their quest to reach the play-offs. Goals look certain, and a repeat of last season's win for Sheff Wed shouldn't be ruled out." Mike Norman says: "A fascinating Yorkshire derby in store here as Leeds chase automatic promotion and the in-form Owls desperately trying to win in their quest to reach the play-offs. Goals look certain, and a repeat of last season's win for Sheff Wed shouldn't be ruled out." Dan Thomas says: "This is a must-win clash for 18th placed Dijon, who are seven points behind Amiens in 17th, but with four defeats in the last five at home, they are likely to have to settle for a point against a side who have drawn their last three." Jasmine Baba says: "Relegation looms for Caen, who sit second bottom in Ligue 1 and eight points off safety. They also have the worst record at home. Angers have drawn their last five games but certainly get a win here." Mike Norman says: "Not many goals are shared when these two meet - five of the last seven meetings have ended with one or less goals being scored - and there isn't any reason to suggest it will be different this time. Getafe are in much better form however and riding high in the table, so an away win looks likely." Dan Thomas says: "With 23 goals in their last six home games, Sassuolo can usually be relied on for entertainment in front of their own fans and that can continue against a Parma side whose away games have been similarly goal laden, with 24 in the last half dozen, conceding 10 in the last three alone." Mike Norman says: "Samp are comfortably in the top half of the table and haven't lost to Genoa in any of their last five meetings. With home advantage, they ought to be too good for their struggling rivals once more." 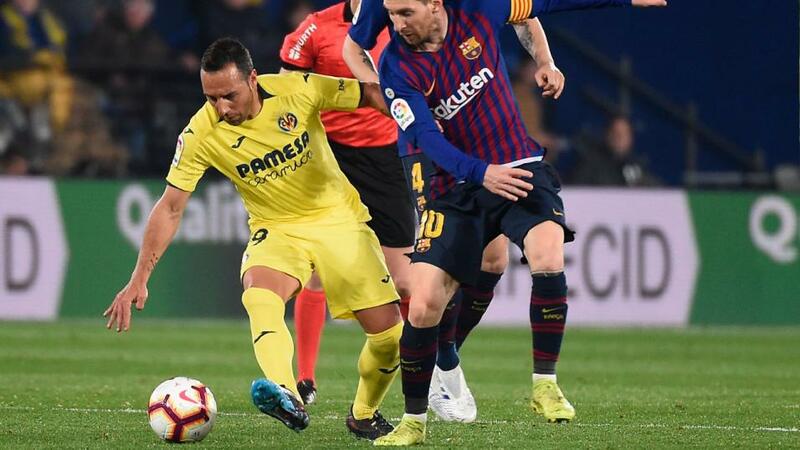 Jasmine Baba says: "Villarreal missed the chance to get out of the relegation zone after Santi Cazorla missed a penalty in the last minute to equalise their match with Betis. They can pick up the pieces at Estadi Montilivi where Girona have only won twice all season."